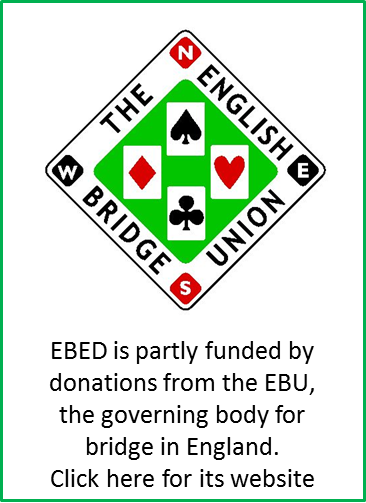 A team of staff administers the business of English Bridge Education & Development. You can find a list of staff below, along with email addresses. Contact Claire regarding Teacher Training courses and bridge teaching for adults. Contact Richard regarding EBED sims, and for Entries and Information on Tournament Director Training courses. Contact David regarding Youth & School activities and Junior Award Scheme inquiries. Contact Lisa for Bridge for All supplies, EBTA payments, club teacher training bookings and inquiries.